Wasps seem to hate warm soapy water. I attached a sprayer to my hose with simple dish soap in it. I applied some several times during the day and have successfully deterred a large nest that was visible and inside my covered porch structure. I was reluctant to use a bunch of wasp spray. Marigolds planted around a garden will deter deer and rabbits from munching your plants. Deer like hostas. Does anyone know of any natural insect repellent for wasps? For example: mosquitoes do not like citronella, fleas are not fund of cedar. I've heard that dryer softening sheets (ie. Bounce) will repel wasps. My sister in law stuffs them into small vases at picnics and it seems to work. The suggestion to breathe on a bee to repel it, is a bad idea. Discovery had a documentary on killer bees, where they were attempting to determine what it was that caused them to go swarm and attack. Low and behold, it was the human breath that triggered the nasty assault. I found that plain baby powder works better than any bug spray and stays around for months or until it rains. Harmless to humans, great deterrent to buggy bugs of all forms. Ants, fleas, termites, all bugs, will not cross over it, if placed on the floor, near door entries, ant holes, fences, walls, invisible to the eye, but no more bugs, spiders, bees, wasps. Put Powder on your kids hair & skin when camping or at the beach and yourself, in the car, everywhere, it really works. So does garlic and onion plants in your yard, keeps all bug life away, even mosquitoes. I have spent a fortune on Wasp and hornet spray. I had a BAD infestation. I have a garden shed with a Cupola on top. The wasps return every spring and thousands inhabit that Cupola. It is a giant nest. I have tried sealing the cracks between the roof and Cupola but they bore through. I just got a twin pack of BeeFREE. They are big fake paper wasp nests that look like Chinese Lanterns but colored and shaped like beige wasp nests. Wasps and hornets are territorial and if they see an established nest they leave, since they fight to the death. I hung the fake nests under my eves in plain sight and today, NO wasps! They left--seriously! Now I can enjoy my yard! I am allergic of bee stings, I see too many bees and wasps in the swimming pool. Is there any waterproof repellent that will keep them away from me. I have been told by many people, if you put vinegar in your pool water it will repel bees. They are attracted to open water sources, but if that source is contaminated, with say vinegar or peppermint essential oils, they will stay away from it. Make sure to keep your pool covered when it's not in use. 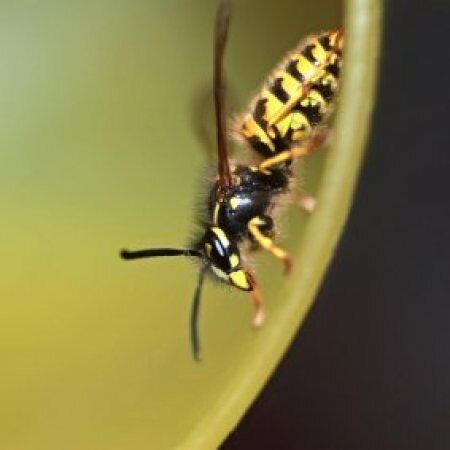 Wasps are known to be territorial and will stay away from your dwelling, if they think there is already a nest nearby. 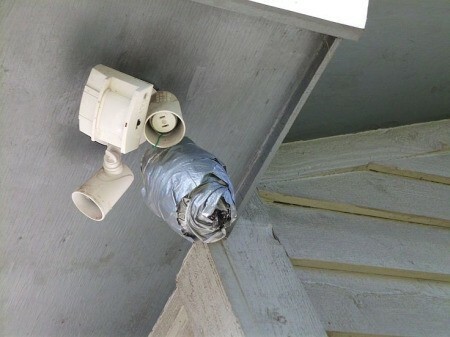 This is a guide about how to make a duct tape wasp nest decoy. Here are some more natrual wasp repellent ideas. This is a guide about homemade wasp traps. Buying wasp traps and the attractant at the store can be quite expensive. Making your own traps is easily done with items you may have around the house.